Last year research for Greener Journeys by the University of Leeds showed unequivocally that reliable, frequent bus services are crucial to the health and prosperity of our high streets. 1 in 3 city centre shoppers arrive by bus, accounting for almost 30% of all city centre spending – bringing into sharp focus that if bus users and services suffer, local businesses and local economies suffer too. Of course a whole host of factors, from priority measures to the regularity of services, influence bus users’ ability to spend money on Britain’s high streets, and we want to see the Government, LEPs and others working together to make sure bus users are protected and supported in a range of ways. However there is a key, often underestimated, scheme that if scrapped could have potentially damaging consequences for high streets: the older person’s bus pass. Over 50% of journeys made using bus passes between 2002 and 2010 were for the express purpose of shopping according to the National Travel Survey. Given that over 1.2 billion journeys were made by bus pass users in 2013, and the Royal Voluntary Service calculate older people spend more than £76 billion a year on retail and other commercial activity, there’s a lot of shopping and spending potentially at risk! Over the past year Greener Journeys has been working with KPMG LLP to evaluate and celebrate the value of the bus pass to our economy, concluding that every £1 spent on free bus travel generates at least £2.87 of benefits for society and the wider economy. However, it is also important to make clear that this already excellent return on investment doesn’t take into account substantial benefits for which it is difficult to ascribe an exact monetary value. The bus pass’ impact on local high streets is one of them. Although we have a wealth of data on how much time and money bus pass users spend on high streets, it was not possible for us to pinpoint exactly how much spending would be lost if the bus pass no longer existed. What is clear, however, is that spending would be affected, perhaps significantly, most obviously because in virtually all cases older people would have to pay for travel or not travel at all. Switching to a car would mean paying for parking (as well as fuel and insurance), which studies show also would mean less shopping, diverting money from shops and amenities such as cafes. If older people are forced to pay a bus fare not only will that money be diverted from local shops, but also from goods and services which provide VAT and expenditure tax revenue – which bus fares do not. 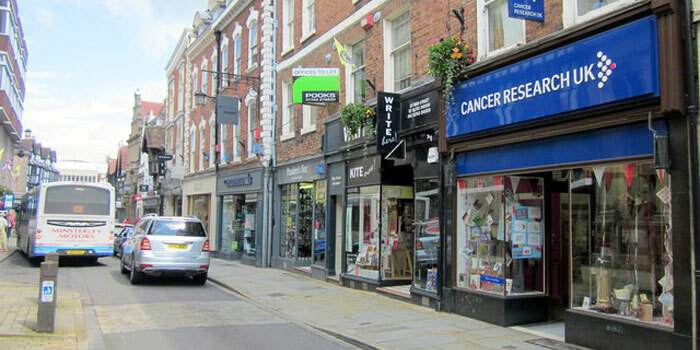 Of course the outcome for high streets with the most significant implications for shops and services, as well as the wider communities they support, would be if the journey was not made at all. The role of buses in bringing about economic and social prosperity is significantly underestimated, and in the case of the bus pass this mistake is compounded by a lack of recognition of the important contribution older people make to local economies. Thriving, vibrant town and city centres are a crucial part of the economic and social fabric of this country. Any future decisions on the bus pass must take into account the vital economic activity it facilitates, and the crucial role it plays in supporting our high streets. False economy indeed to ignore the value to the high street of us pass holders. We cannot access out of town retail parks without a car. We frequent cafes and other services on the high street whilst doing our shopping, banks, building societies, opticians, libraries, etc.